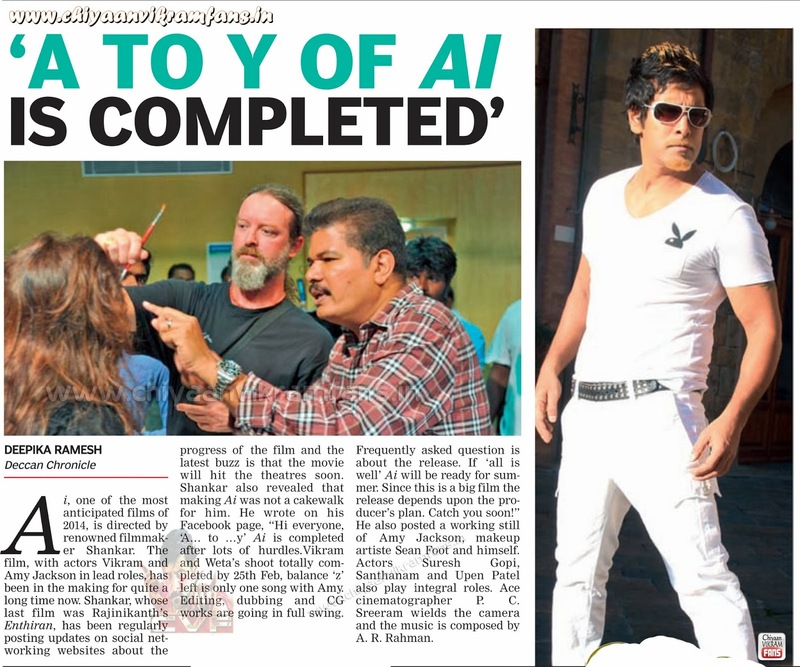 Ai, one of the most anticipated films of 2014, is directed by renowned filmaker Shankar. 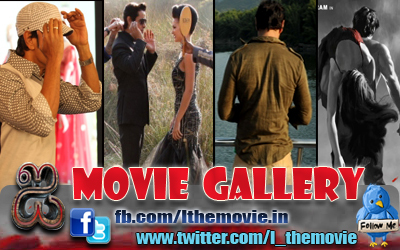 The film, with actors Vikram and Amy Jackson in lead roles, has been in the making for quite a long time now. Shankar whose last film was Rajinikanth's Enthiran, has been regularly posting updates on social networking websites about the progress of the film and the latest buzz is that the movie will hit the theatres soon. Shankar also revealed that making Ai was not a cakewalk for him. He wrote on his Facebook page, "Hi Everyone, 'A... to ...y' Ai is completed after lot of hurdles, Vikram and Weta's Shoot totally completed by 25th February, balance 'z' left is only one song with Amy. Editing Dubbing and CG works are going in full swing. Frequently asked question is about the release. If 'all is well' Ai will be ready for summer. Since this is a big film the release depends upon the producer's plan. Catch you soon!" He also posted a working still of Amy Jackson, makeup artiste Sean Foot and himself. Actor Suresh Gopi, Santhanam and Upen patel also play integral roles, Ace cinematographer P.C Sreeram wields the camera and music is composed by A.R.Rahman.